MUMBAI, India - World stock markets mostly gained Thursday ahead of a U.S. jobs report that is expected to show continued employment growth in a positive sign for the world economy. Economists forecast that the U.S. government's nonfarm payrolls report for June will show employers added 215,000 jobs during the month and that the unemployment rate remained at 6.3 percent, according to financial data provider FactSet. May's job gain meant that U.S. economy, the world's biggest, had finally recovered all the jobs lost to the recession. In early European trading, Germany's DAX was up 0.4 percent to 9,949.94 and France's CAC-40 rose 0.5 percent to 4,466.28. Britain's FTSE 100 0.3 percent to 6,834.06. Futures suggested Wall Street might extend gains after the S&P 500 and Dow Jones industrial indexes reached fresh all-time highs on Wednesday. Dow futures were up 0.1 percent and S&P 500 futures were up less than 0.1 percent. In Asian trading, markets in Taiwan and China continued gains that began the previous day after China and the U.S., the world's two biggest economies, reported growth in manufacturing. The Taiex in Taiwan gained 0.4 percent to 9,526.23 and China's Shanghai Composite edged up 0.2 percent to 2,063.23. Other Asian markets, however, took a wait-and-see approach. The Nikkei 225 index in Tokyo closed 0.1 percent lower at 15,348.29 and Hong Kong's Hang Seng inched down 0.1 percent to 25,531.44. South Korea's Kospi shed 0.2 percent to 2,010.97. 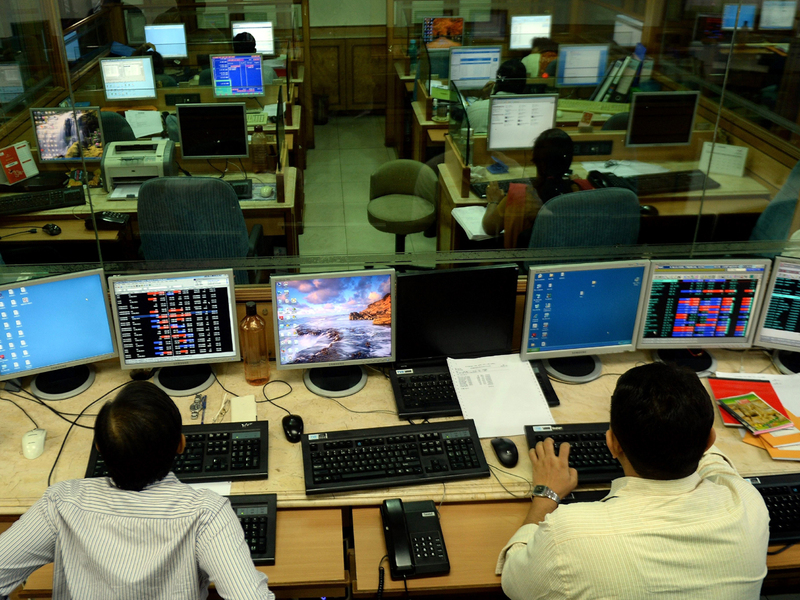 In India, the Bombay Stock Exchange halted all trading early Thursday due to a network outage. It resumed trading three hours after the glitch was fixed and by mid-afternoon was up by 0.1 percent to 25,860.99. The European Central Bank is also scheduled to meet later Thursday. The bank is not expected to announce any major moves after further easing monetary policy last month, but investors will be looking to ECB President Mario Draghi's speech for clues about how the bank may act in future. "European markets should find modest support on open, although it promises to be an action -packed day" particularly in the U.S., Chris Weston, strategist for IG, said in market commentary. In energy markets, the price of crude oil dropped 47 cents to $104.01 per barrel in electronic trading on the New York Mercantile Exchange. The contract fell 86 cents to $104.48 on Wednesday. The euro dropped to $1.365 from $1.3657 late Wednesday. The dollar rose to 101.94 yen from 101.79 yen.